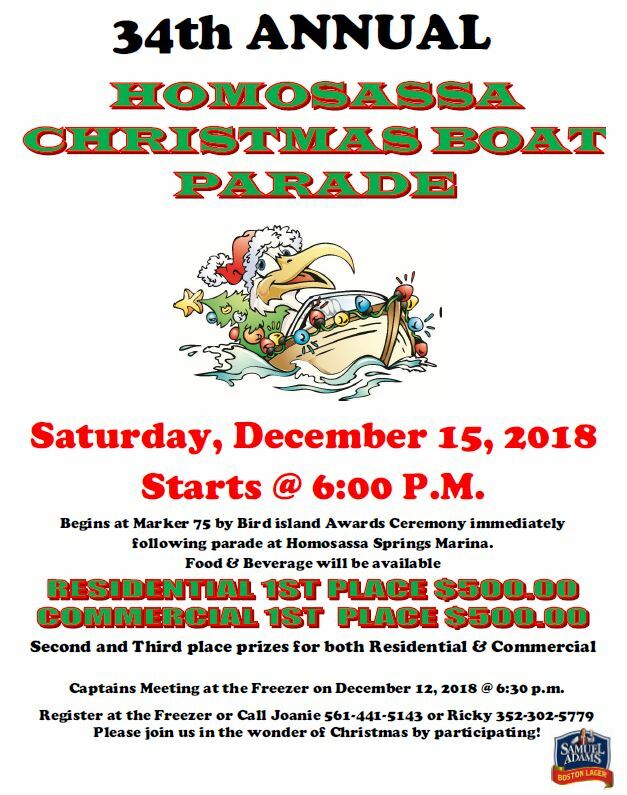 Homosassa Christmas Boat Parade 2018! The community is invited to join in the wonder of Christmas at the 34th annual Homosassa Christmas Boat Parade Saturday, Dec. 15. The parade will begin at 6 p.m. at Marker 75 by Bird Island. An awards ceremony will immediately follow the parade at Homosassa Springs Marina. Spectators can watch at various locations along the Homosassa River, most popularly near MacRae’s and off of Halls River Road. Food and beverages will be available.